WordPress TwentyNineteen theme. Let’s take a look! With every big WordPress release comes a new redesigned Twenty-something theme. This time around it is the Twenty Nineteen theme which will be coming bundled with the next WordPress 5.0 update, expected on November the 19th. This update includes some big changes and will change how we create content with the new Gutenberg editor also coming in 5.0. Today though we get a sneak peek at what WordPress Twenty Nineteen will look like. 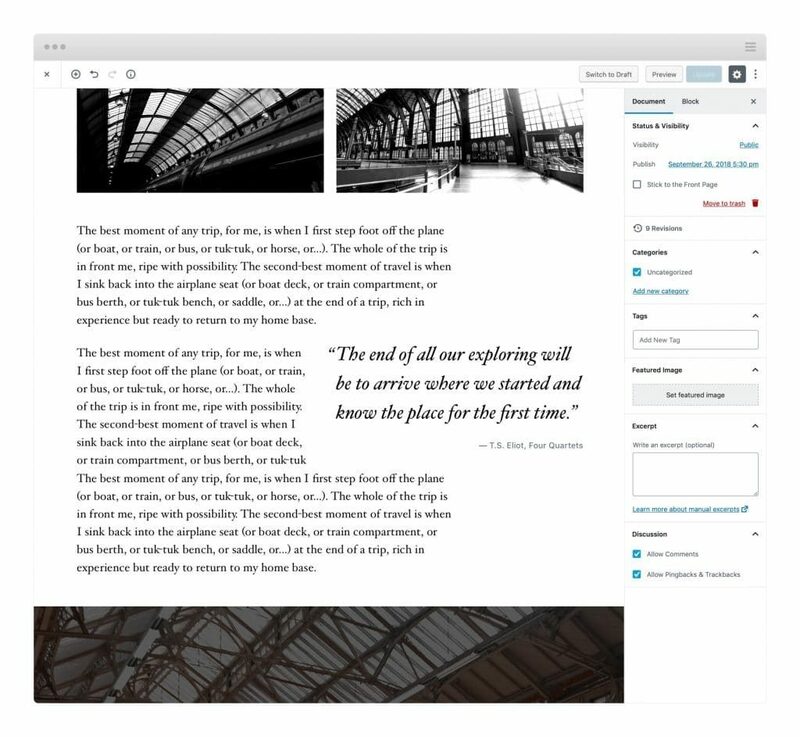 The team creating it have designed it in a way that it is fully compatible with the new Gutenberg editor. It makes sense if WordPress is to have a totally new editor it’s new theme should be fully compatible right? What we love about the Twenty Nineteen theme is its minimal, clean but sophisticated look. This is what we know so far from the developers of the new theme. At the core of Twenty Nineteen is its simple, sophisticated typography. The theme’s aesthetic is minimal and non-prescriptive, allowing the theme to work well in a variety of applications. For example: it is effective as an minimal, typography-driven blogging theme, but can also be adapted for use as a static business website. Twenty Nineteen will ship with full Gutenberg support. 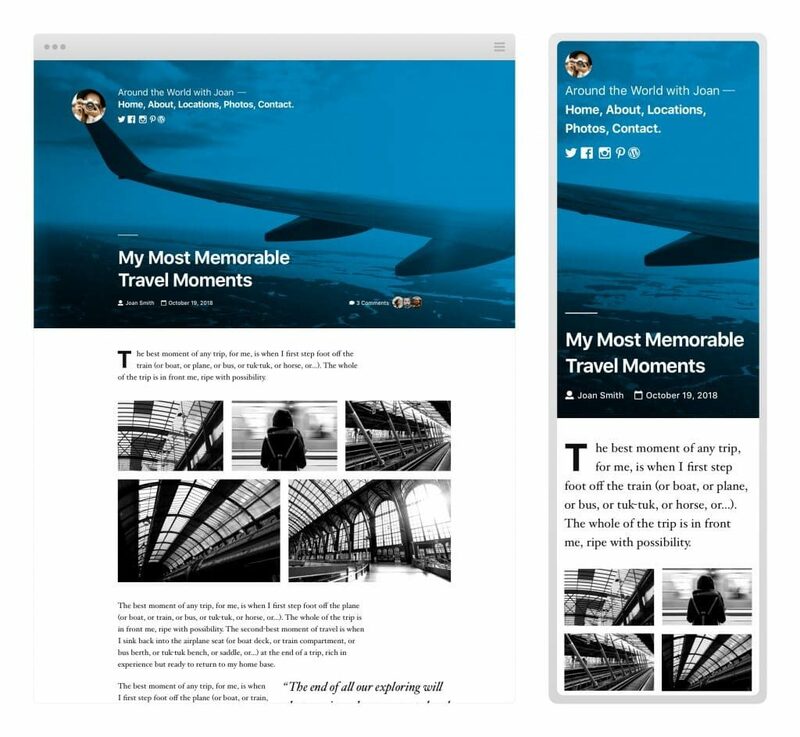 It will include both front and back-end styles, so that users can be fully confident in their site’s appearance when they hit publish. One change that many blog writers and website owners will welcome with open arms is the way Gutenberg displays content in the backend while creating it. Themes that integrate full support will in a nutshell try and show your post exactly how it will look on the front end. How many times have you created a post in the classic WordPress editor, got everything in place, images just where you want them, hit publish to then find that on the front end the content is a mess? Well, that’s one of the big benefits of Twenty Nineteen and themes that fully support the new editor. What you see on the backend should be very close to what you will see on the front end when you hit publish. If you’re looking for a new WordPress theme we highly recommend you check that it is Gutenberg compatible. We can’t wait to get our hands on the new theme and test it out but for now, these examples are all we have. We won’t have to wait long though seeing as WordPress 5.0 is only just the corner. UPDATE: We have spent some time using WordPress twenty ninteen. Its a very fast and light theme. They have clearly gone for a basic, clean and fresh approach. Now that we have had time play with it we have created a live GIF preview for you so you can see an example of the twenty ninteen theme. Watch the GIF below for a demo of pages, posts and the new gallery layout in the WordPress twenty ninteen theme.